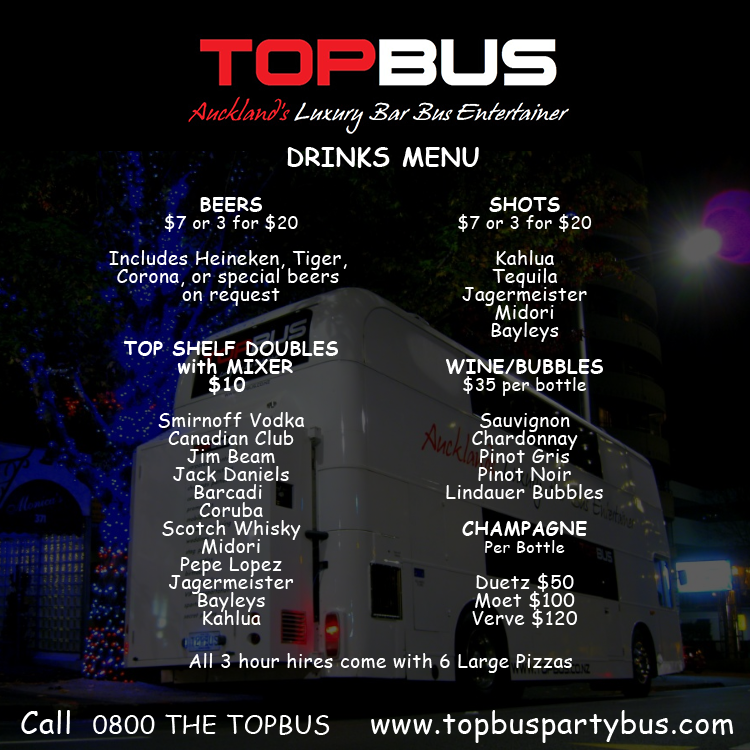 Topbus is the perfect Auckland Party Bus for your next corporate event, with a fully licensed bar, luxury limo seating, an espresso machine, with board catering if needed from the top restaurants providing the food, we have professional well groomed staff who will look after your guests, this bus also has a fully serviced on board restroom for your convenience. We also do the best Vineyard tours in Auckland, with The Top Bus we have the only bus in NZ with a sun roof and drop down electric windows for those beautiful balmy Auckland afternoons making your way around some of Auckland’s top vineyards, relaxing to your favourite music on our Bose sound system with some champagne and nibbles along the way! Bella!